Its almost time to wish them a happy anniversary, what better way than to feature them in this month’s post! I feel like I form a friendship with almost every bride that comes through and Laura was no exception. She was a joy to work with and a calm presence to be around even if she felt overwhelmed she didn’t let on. She had a vision for her big day that I was so excited to see come into the Art Center. 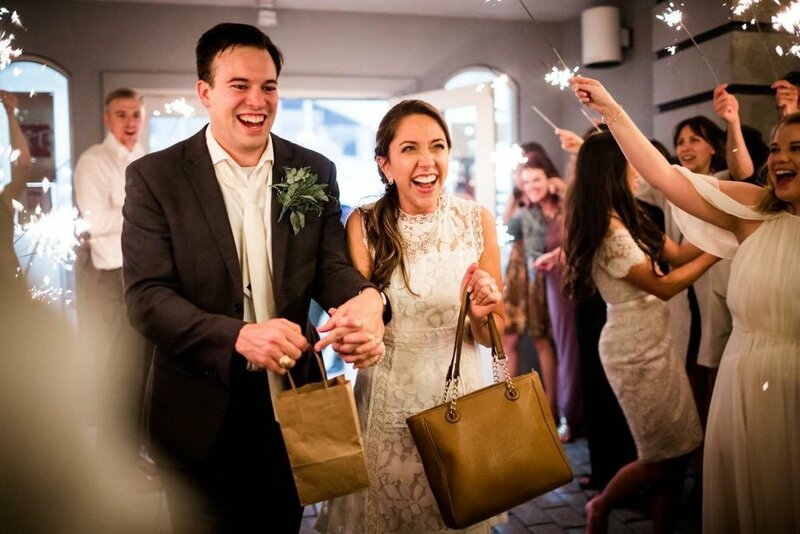 I worked closely with Laura and her mom as they planned and put together a beautiful day that speaks to the wonderful love that Laura and Josh share. Josh and I met at a restaurant here in town. I was a waitress at Ruby Tuesday’s, preparing to head to Fairmont State University for my second year of college. Josh was at the restaurant one night with our friends, Matt and Ashlee. Josh asked to talk with me before I went home for the evening, I gave him my phone number and the rest in history! Tell us about the proposal…. Josh took me to dinner at Austyn’s in Marietta, where we had our second date! We ate dinner, and I assumed we were waiting on a check. Josh began to clear the table off, and I thought to myself, man he must really want to get out of here and go home! To my surprise he proposed! Now that restaurant is a very special place for us to go to. What inspired the vision you had for your big day? My favorite place to be is the beach, so it made perfect sense to have a coastal/beach themed wedding. With that theme and the wedding being in the spring, finding decorations was very easy. What made you choose the Art Center as your venue? The Art Center was the first and only venue we looked at. The space, the atmosphere, and not to mention the beautiful art on the walls made the decision for us. The staff was so helpful and wanted to ensure the big day was perfect. I can’t thank Lyndsay enough for getting me through the stress of a wedding. She is full of great ideas for the big day and makes herself available to any questions or problems you may have. There were also several options to choose from for where to have the ceremony, cocktail hour, and the reception. You can really make it any way you want! What other vendors did you choose, and can you tell us a little about your experiences? We used Liv Hefner photography, Weber’s catering out of Marietta, Grant’s Rental for decorations, and Roberts Entertainment for a DJ. I cannot express how lucky I was to have these people help and participate in our wedding. They were all helpful and willing to answer any questions I had at any time. Our pictures were gorgeous, the food was delicious, and everyone had fun at the reception. That’s what weddings are for, right?! The whole day was so memorable it is hard to choose! From getting to see my husband dressed up in a tuxedo to getting ready with great friends and family, the day was awesome! But, getting to see my mom and dad before the ceremony was a very important part of my day. We cried and laughed, and at the moment I was so thankful for all that they had done to make the day special. On your big day, stop and remember to enjoy and appreciate your loved ones who have helped you through the process. My wedding day was one of the last and best memories I have of my grandmother. The day after our wedding her health started to decline due to complications from kidney cancer, and she passed away five months later. Weddings are a great time to make memories. So, don’t get upset if the cake didn’t look the way you wanted it to or the table clothes weren’t the right length, and focus on showing love towards those there to support you. In this edition of our #PACfeature I’m Interviewing Jessie Siefert, the Art Center's managing director, about Arty Parties in the Art Factory at the Art Center! I started teaching Mini-Monet Class at the Art Center in January of 2006. In September of 2006 Marcia Ritchie and I started the ArtStart Preschool Program at the request of many of the Mini-Monet parents. 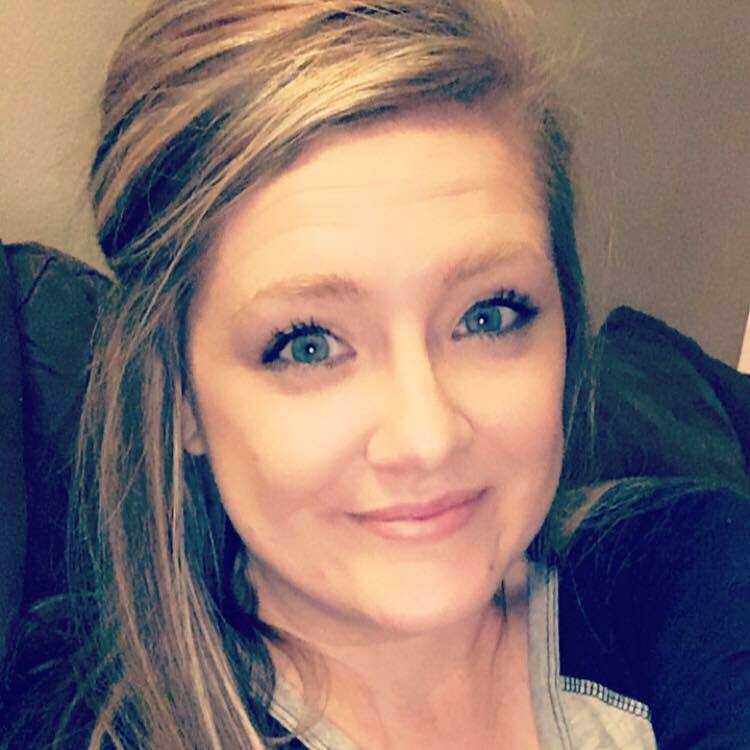 My role at the Art Center has grown over the years, going from teaching preschool and a class or two to managing Camp Creativity then becoming the Education Director. In July of 2018 I stepped into the Managing Director role, though I still run the Education programs. I love being a part of the Art Center. These are free Saturday morning art and play events for the whole family. Creative activities vary from week to week and are geared towards kids between the ages of 4 to 12. Parents stay and play with art materials right alongside their children. When did the Art Center start hosting them? How do you come up with the ideas of what you'll do each week? I scour Pinterest and art teacher magazines for ideas. I also take a look at donated art materials. These donated items sometimes spur the most creative projects. We try to vary between crafty things and very open free-art opportunities. How are you able to provide the materials and staff? For the past few years our Arty Party series has been funded by the Virginia L. Neptune Foundation. These funds allow us to pay our staff and buy most of our art materials. We also rely on donations from the public. This year we have had more people than ever showing up on Saturday mornings! This is great but supply costs are also higher. Every dollar helps to ensure that we have enough materials for everyone. What kind of feedback have you received from the community? What can we look forward to at the Art Center in the coming months? We have a roster of new art classes for kids and for adults! Art-O-Rama is coming up on March 16. This is our Arty Party BLOWOUT! Art-O-Rama is also our kick-off for Camp Creativity registration. When I first met Val and Tom, I instantly felt connected to them. They are the kind of people that are just genuine and kind and you can see yourself being friends with. They were full of smiles, loved each other through the tough stuff and had a positive outlook that was inspiring. I have gladly kept in touch with Val since her big day and love seeing posts on Facebook of their family and new baby girl! I thought with it being February and Valentine’s day just passing, I’d make this “Val-n-Toms” post this month to celebrate! Tom and I met through work. I was teaching at an Alternative Education School and he is a Probation Officer. He would send students to me to gain credits towards graduation and we would have to go to meetings together for the students. Turns out we had friends in common as well. We had been together almost 6 years before he proposed. It was a running joke that we would never get married. We were on our annual vacation to Siesta Key, Florida when he asked me to marry him. It was 8 am in the morning on our second day there, and apparently he just couldn’t wait anymore! The highlight was being at our favorite place with our family and being able to share it with them. My son was the first person we told and he was so happy for us to all be together all the time! We knew that we were not a super traditional couple, so even though we wanted a ceremony and reception, we wanted one of our best friends to marry us and to just have a big party. We didn’t use the traditional music and instead chose songs that fit our relationship. I had been looking at centerpiece ideas and color schemes, and we eventually settled on spring colored flowers, rose gold, and black. It turned out very classy! I made all of my own centerpieces and bouquets for my bridesmaids. I also made the flower girl basket. We used a lot of soft lighting and bright flowers to lighten the dark tablecloths at the reception. What made you chose the Art Center as your venue? My brother and his wife used the Art Center for their reception and it was beautiful. We actually had another venue picked out for our ceremony but when we had to change the date of our wedding, we couldn’t use it anymore. 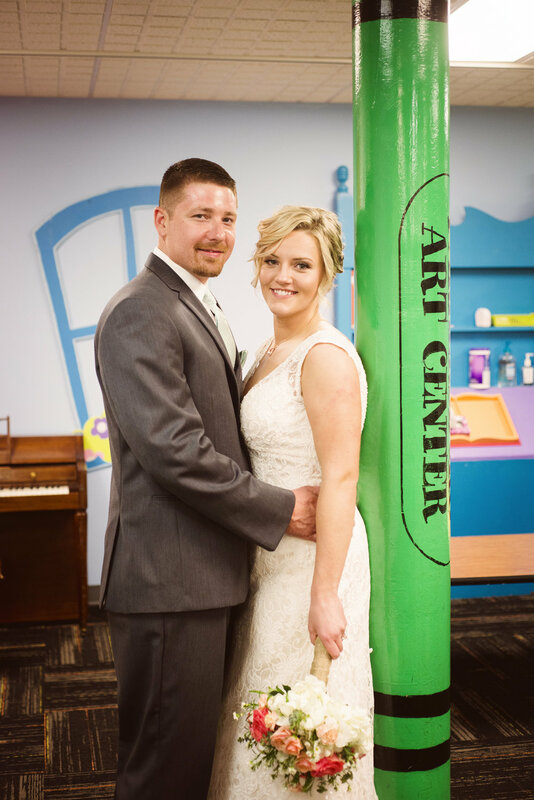 The Art Center was so accommodating, not only to the date change, but also to having our ceremony there as well. Lyndsay was so easy to work with and recommended some great vendors for us! What other vendors did you use? We used Valley Catering for our dinner and they are AMAZING! I can’t express how wonderful they were. Not only was the price right, but the food was delicious and there were so many options! We told them before the wedding that there would probably be a lot of children at our reception and they made chicken tenders for all the kids at no extra cost because they knew they probably wouldn’t eat the fancier food that we had picked out for our guests. It was amazing! For our music, we used Premier Productions. They were great as well. They did all of the ceremony music and the reception. We were able to pick out all of the music we wanted and they even played background music as the guest arrived. We were impressed at how well they kept the reception going also. They had planned out when to do all of the normal reception activities, like the bouquet throw and the father/daughter dance. The lighting was beautiful and the staff was so nice to work with. All of our tablecloths came from Grant’s Rental and they were wonderful. We got to pick out the color and material that we wanted and the process of picking up and dropping off were super easy. They were very accommodating as well. My son walking me down the aisle with my dad and giving me away was so very special to me. He was nine years old at the time of our wedding and he was so excited for us! During the reception we made sure that the DJ played “Friends in Low Places” by Garth Brooks because it is a wedding family tradition to get in a line, arm and arm, and sing that song. We have a good bit of it on video and it was such a fun moment to have together. The whole day just went off without a hitch and we have such fond memories of each and every part. Our advice is to not stress out about the small stuff…or even the big stuff for that matter. As long as you are with the right person your special day will be perfect. We had a lot of obstacles that came our way during the planning of our wedding- including a date change, and we still made it work and wouldn’t have had it any other way. We can’t wait to show pictures of our wedding to our newborn daughter someday. Choosing to have all parts of our wedding at the Art Center was the best decision we could have made. The process was so easy and the staff was so helpful. When I first met Cassy, I feel like we instantly connected. She has the warmest personality and is easily one of the sweetest people I’ve met. She had an amazing vision for her wedding day that was unlike anything I’d seen come through the Art Center before. That is one of my favorite things about events here – I’ve never seen the same thing twice. As I got to know Cassy and Sean, it was easy to see how they complimented each other as a couple. I’m so glad to have met them during such a special time in their lives. Umm, I wanted a casual elegance theme with TONS of greenery because I love plants and creamy colors. The Art Center offered an AMAZING space that was in a good location. Lyndsay was fantastic to work with! She gave me this booklet of wedding information that had caterers, photographers, florists, and basically anything else wedding related. That booklet was my wedding planning bible! It even included parking maps! Lyndsay also responded to my emails timely which is a blessing for a stressed bride. Basically, the Art Center is a great wedding venue and I would recommend it to any bride. What other vendors did you choose and can you tell us a little about your experiences? For my caterer, I chose Valley Catering. They were fantastic!! Lyndsay recommended them and I couldn’t be more pleased with their performance and tasty food! I decided to do just appetizers and it went over so well! The food was displayed beautifully and tasted divine! For my DJ, I chose DJ Correct aka Curt Plummer. I would also highly recommend him! He made the night a blast! My favorite memory of my wedding day is being announced as Mr and Mrs Miller for the first time. We turned around to see the people at our ceremony and it was truly beautiful and humbling to see so many people we love being present for our wedding day. Have fun and delegate tasks! Try not to be stressed on your wedding day and remember that at the end of the day you are marrying your best friend and that is really what the day is about.